The Cressy school is located at the heart of a new residential district created at the end of the 1990s. It consists of three independent buildings freely erected on a slight slope. 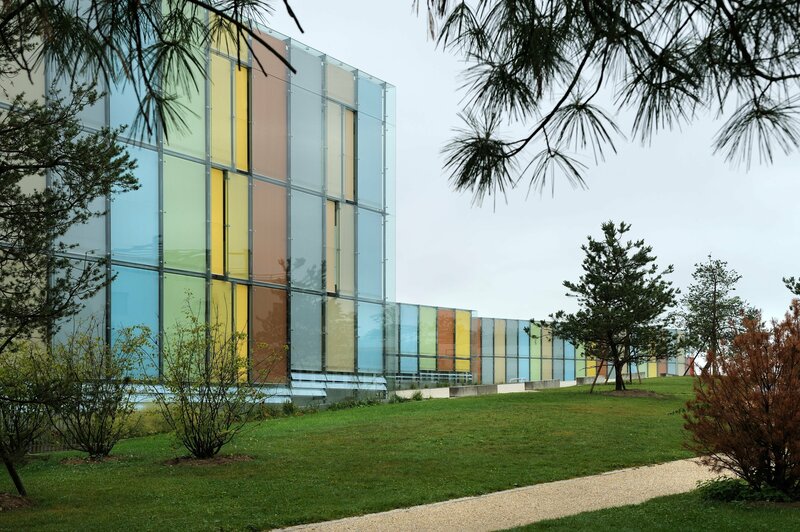 Each building has a single function: classrooms in the building at the bottom of the slope, multi-purpose room in the building at the centre and gymnastic room in the building at the top of the slope. The small size and scale of the buildings is an indication of the care taken to ensure a successful relationship between these and their surroundings. The volumes in glass, which emerge from the former field are linked to each other in the basement by a central corridor that can be seen through discreet skylights through which light enters. 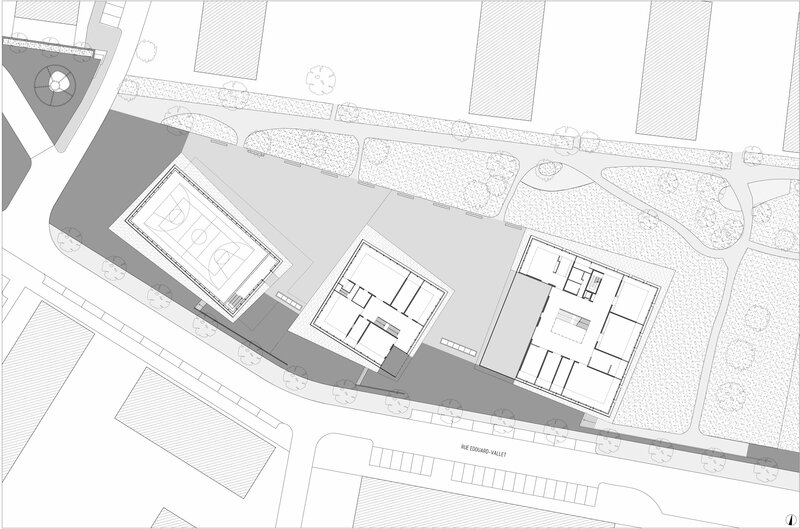 The building containing the classrooms can be identified by its large overhang under which pupils gather. 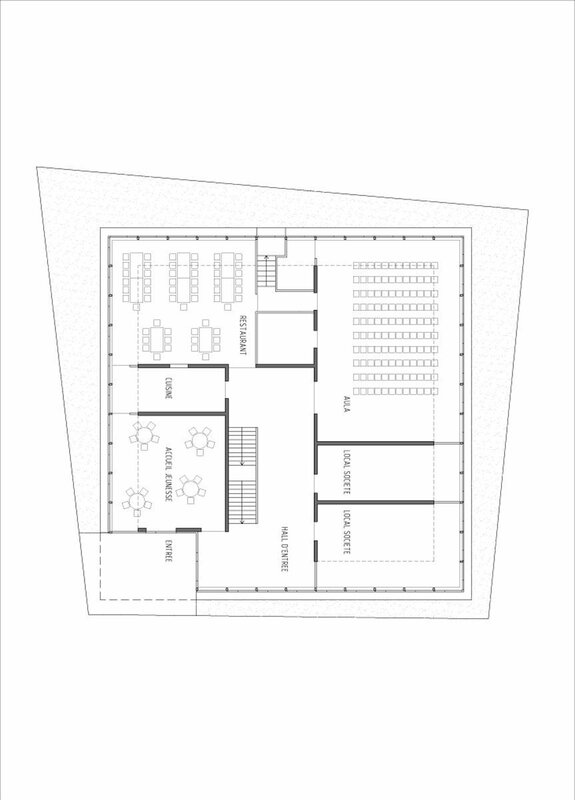 A plan based on a square base has been adopted for this building for primary education. 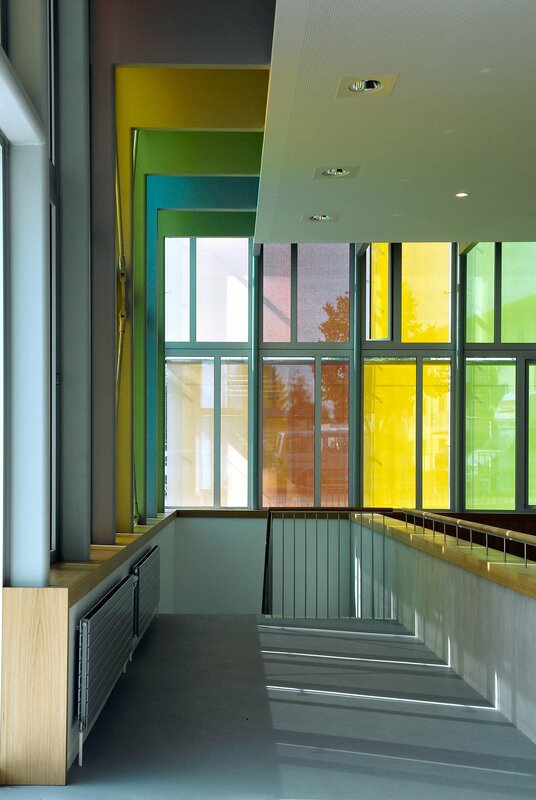 Inside, at a tangent to a fine atrium, the corridors wind round this 3-storey space and lead to the classrooms. 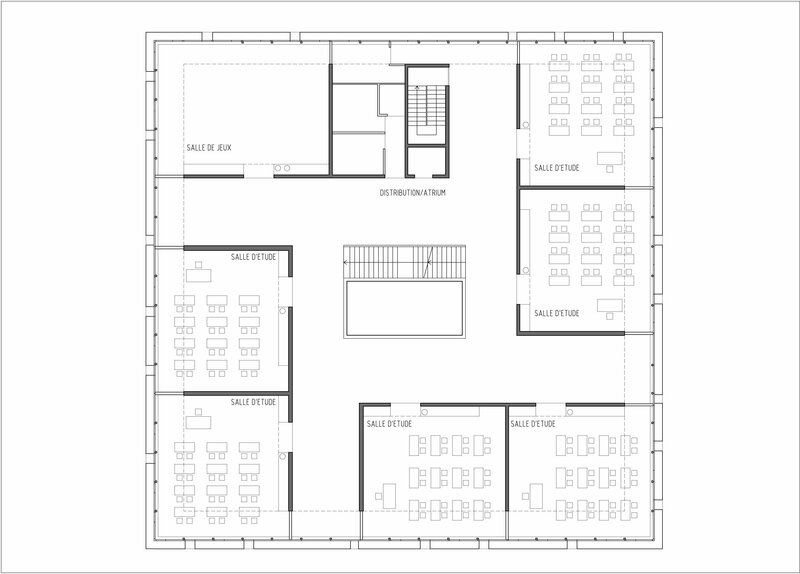 Natural light fills the space by the large skylight and the large windows located at the ends of the corridors. The main materials used are raw concrete and natural wood. 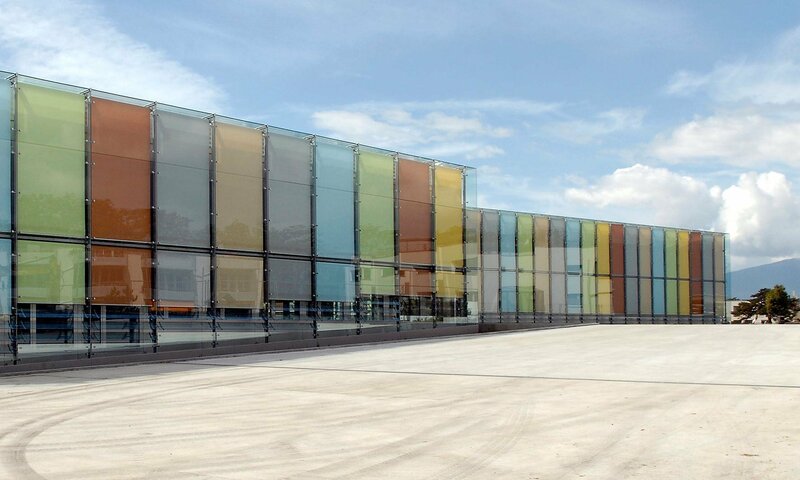 Despite the “random” installation, unity of the whole is sought and expressed by envelopes cladded with very regular glass panels forming a double skin. 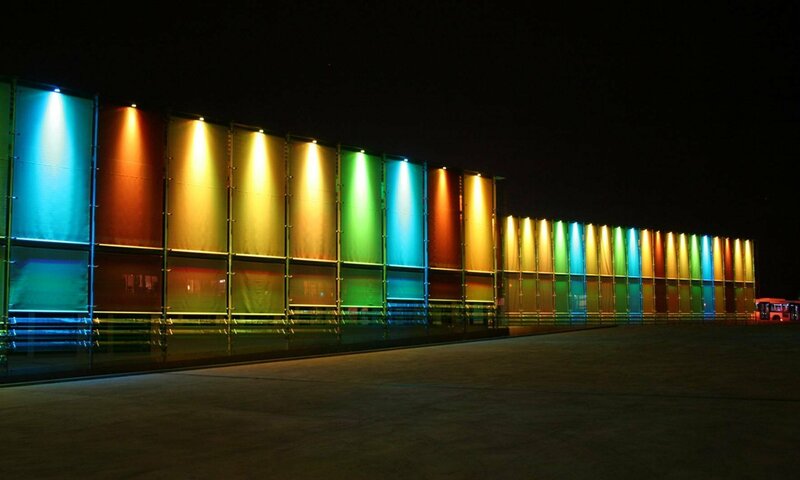 A play on the colours of the blinds and night lighting, developed with an artist, gives a fun look to the whole.